Synthetic drugs for human brain disorders are expensive symptomatic long treatments, sometimes showing serious and unavoidable side effects with poor patient compliance. Therefore, the herbal and Ayurvedic treatments are preferred over synthetic drugs for a range of human brain disorders including, Alzheimer’s disease, Parkinson’s disease, depression, epilepsy, schizophrenia, anxiety, etc. Ayurvedic system of medicine has traditionally been used in several neurological conditions. The accessibility, negligible incidence of side effects and cost effectiveness of plant products offer considerable advantages. These days much attention is drawn towards the established traditional systems of herbal remedies for many brain disorders, generating positive hopes for the patients. The Ayurvedic prescriptions which contain either a single identity of plant or a mixture of plant materials have been proven to be very useful against such disorders. The plant materials prescribed for these problems range from herbs to perennial trees with varied plant parts, ranging from whole plant, roots, stem, bark, leaves, flowers, fruits to seeds. It has been attempted to review the current situation of mental disorder in the society vis-a-vis its effective solution described in the Ayurveda and problem of side effects in synthetic medicines. 1. Annavajhula J.C. Bose and A. Chinmayee Meghana (2014) Over coming Psychiatric Disturbances: A Note, Reviews Of Progress: Vol – 1, Issue – 48. 2. Balaji Deekshitulu P.V(2014)Ayurveda and Metal health, Innovare Journal of Ayurvedic Sciences, Vol 2, Issue 3, 1-5. 3. Balkrishna A, Misra LN (2017) Ayurvedic Plants in Brain Disorders: The Herbal Hope. J Tradit Med Clin Natur 6:221. 4. Basavaraj R. Tubaki, Channapatna R. Chandrashekar, Deverakonda Sudhakar, Talakad N. Sathya Prabha, Gandhidas S. Lavekar, and Bindu M. Kutty. (2012) Clinical Efficacy of Manasamitra Vataka (an Ayurveda Medication) on Generalized Anxiety Disorder with Comorbid Generalized Social Phobia: A Randomized Controlled Study, The Journal of Alternative and Complementary Medicine. 18(6): 612-621. 5. Devanand Upadhyay(2014) An Approach to Healthy Life through Yoga in Ayurveda, International Journal of Research,Issn(online)2348-6848. 6. Janmejaya Samal. (2014) Concepts of Social and Behavioral Health in Ayurveda: Age Old Principles and Contemporary Relevance, IJHSR ; 4(2): 178-183. 7. Jyoti Shankar Tripathi. (2012) Dimensions of Sattvavajaya Chikitsa (Ayurvedic-Psychotherapy) and their Clinical Applications, AAM. ; 1(1-2): 31-38. 8. K.Pal, SK Kundu, S.Battacharya,S.Roy(2014) Psychiatry disorders & its treatment by ayurvedic approach;Pharma tutor;2(9);30-35. 10. 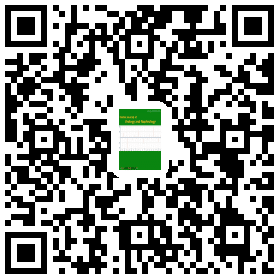 Mohsen Younus, Aasif Younus and Irfan shahbaz(2015) Value of ayurvedic medicinal plants as psychotherapeutic Agents-a review, IJISET, Vol. 2 Issue 11, ISSN 2348 – 7968. 11. Miller M(1996) Diet and psychological health, Altern Ther Health Med.2(5):40-8. 12. Prakash B Behere, Anweshak Das, Richa Yadav, Aniruddh P Behere (2013) Ayurvedic concepts related to psychotherapy,IJP, Volume : 55 | Issue : 6 | Page : 310-314. 13. Varma(1965)Psychiatry In Ayurveda,IJP, Volume : 7 | Issue : 4 | Page : 292-312.